The day started with the registration procedure of the participants and the observers. 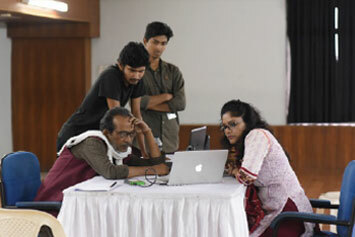 The Dhaka DocLab team made sure that all the necessary paperwork is done before the session begins. 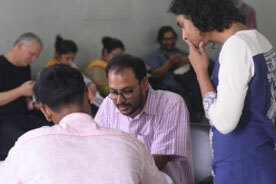 Before starting the inaugural ceremony, the Dhaka DocLabteam arranged an introductory session to help the participants, observers and the mentors to get to know each other better. In this session, the organizers gave a breifing about the coming 6 day's schedule, and what the participants and observers can expect. Dhaka DocLab 2017 formally started with welcoming all, addressed by Syed Gousul AlamShaon, one of the trustees of Dhaka DocLab. 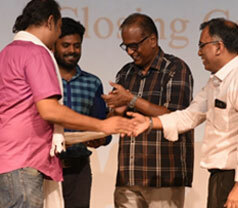 The tutors were welcomed on stage and felicitated. 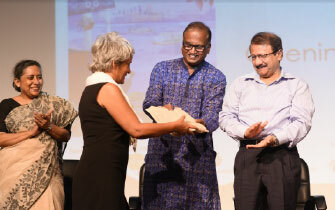 The Chief Guest was Poet Kamal Abdul Naser Chowdhury, Principal Secretary to the Prime Minister, Government of Bangladesh. He wished for the best, for the Dhaka DocLab. By the costal belts of Bangladesh, in a small village named 'Satarkhali', Rakhi lives with her man Soumen (32) and their son Rahul (6). Fighting against all odds of the woods, along with around 100 families, they cultivate the land for generations. On May 25, 2009 when Rahul is only 4 years old, a tidal surge hits the costal belts of Bangladesh. 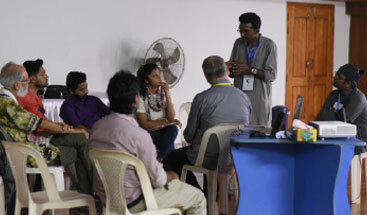 The day began with Narrative Lab 1, the project mentoring session carried out by the tutors. The participants were divided into 3 groups. Each group two had tutors, along with participants and observers. 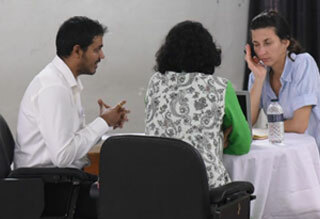 The participants exchanged ideas with the tutors and discussed about their plan of work. The narrative labs continued all day, Narrative Lab 2 continuing post lunch. 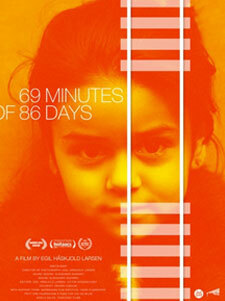 In the spring 1992 the film director met two long-term political prisoners who were charged of political spy from North Korea. They didn't gave up their faith to communism for 30 years in jail. Before the film screening, the director Kim Dong Won spoke about his journey of 12 years to make this dream project come true. 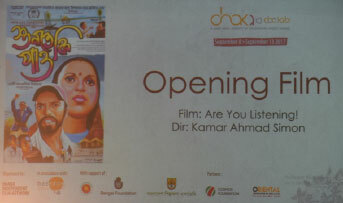 After the screening there were enthusiastic questions from the audience, which the director answered with equal fervor. Day 3 started with the follow up of the previous narrative lab sessions where the mentors reviewed the progress of the participants. 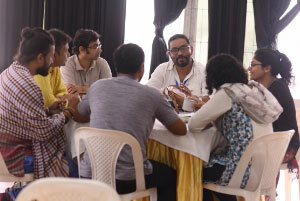 The mentors dealt with all the questions surfacing in the filmmakers minds regarding their projects. The participants and observers discussed each others works as well. 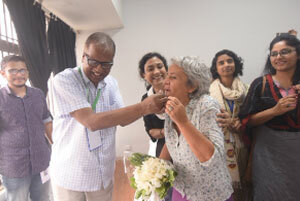 Lunch break on this day was a very special time as the entire Dhaka DocLab team along with the participants and the tutors celebrated the birthday of one of our tutors - Graca Castanheira. 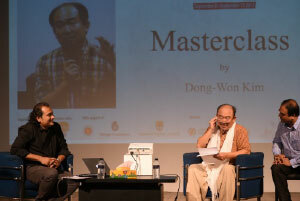 Post lunch was a special "Masterclass" by the filmmaker from Korea - Kim Dong Won - held at the Chitrashala Auditorium. 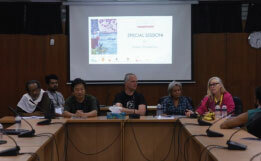 Before the session began, the Dhaka DocLab team thanked Kim for supporting the cause and honored him with gifts and flowers. 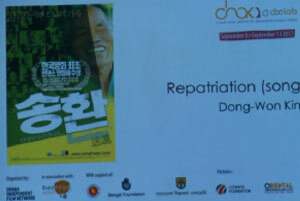 Kim shared his journey of making the documentary 'Repatriation' which had taken almost 12 years. The participants were truly inspired. As one quotes in the movie, Fr. Jung was a 'real' human who can purely meet another person as a person itself transcending not only the boundary of religion but all human border such as race or nationality. This doesnâ€™t mean he was a great perfect human being. He was an 'ordinary' person who easily turns sulky, plays drunken frenzy, and had stinky feet. If there was anything special about this man, it would be that he had proactively chosen poverty and knew how to enjoy that poverty. 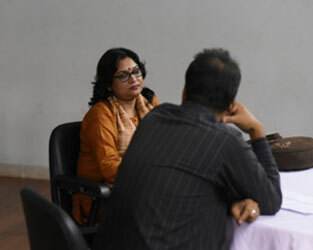 The fourth day of the Dhaka DocLab program started with individual mentoring of each project by an assigned tutor. 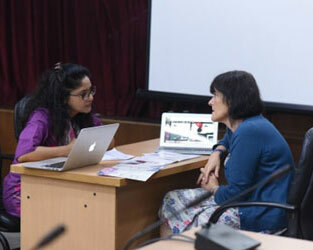 In these one-on- one sessions, the tutors individually discussed the projects with the participants. This session was dedicated to review the projects of the participants before the final pitching. After lunch break, there was a special session on 'International Co-Production and Pitching'. 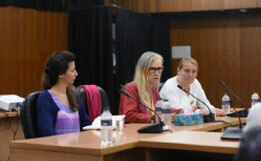 Here the tutors and the presenters discussed about the procedures of pitching as well as co-productions. 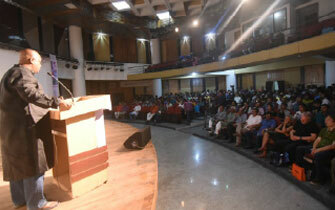 The participants engaged in a question and answer session with the panel with their own queries. 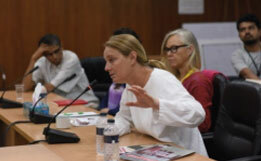 Titled "Expectation and Intent of Foundation", presentations were held by the WHY Foundation, Sheffield Doc-Fest and Whicker's World Foundation. Q/A between the participants and the presenters were also included in this session. The Lithuanian scientist AuÅ¡ra Revutaite spent 30 years in the Tian Shan mountain range in Central Asia, with only her faithful dog and grey cat for company, studying climate change on the Tuyuksu Glacier at an old Soviet-era research station. She loves the solitude and silence that her painstaking work brings her. Magnificent shots of her surroundings, the film is a breath-taking study of silence and solitude, the timelessness of eras and the woman who stands as the sole silent sentinel. 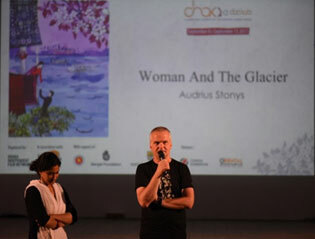 After the session, Audrius interacted with the audience who were eagerly waiting to hear about the filmmaker's perspective on the film. 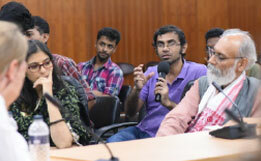 The 5th day of Dhaka DocLab saw the start of the pitching by the participants with their projects. 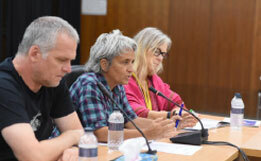 The panel of decision makers included foundations and channels from across the world as well as some very significant television channels and production houses from Bangladesh. 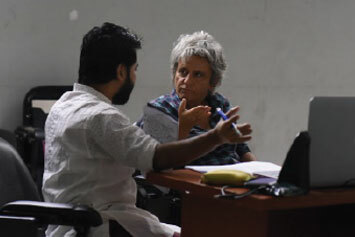 The session was mentored by one of our own tutors - Karolina Lidin. Finishing the pitching session the participants and decision makers moved on to their One-On-One meetings. The participants who had pitched their projects engaged in conversation with the decision makers individually. The session mainly focused on the detailed inquiries of the decision makers about the projects of the participants. On a path littered with lifejackets, in the middle of a crowd of people on the run, a 3-year-old girl slowly emerges. Full of a child's energy and curiosity, carrying her little "Frost" backpack on her back, she takes in her surroundings between hundreds of adult trouser legs. She understands the gravity of the situation she and her family find themselves in, but filled with childlike wonder she continues her journey. For every step she takes, she emanates a longed-for feeling of hope. To Lean, it's a step closer to her grandfather in Sweden. 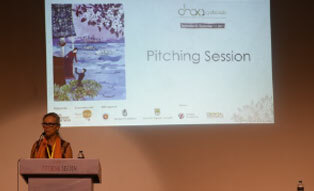 The second pitching session included the pitching of the rest of the participants. Along with questions and answers, the decision makers tried to find their desired projects. 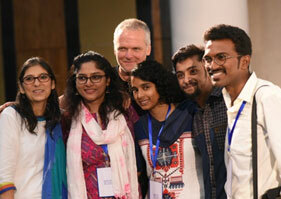 After the pitching session all the participants and the Dhaka DocLab team took photos. 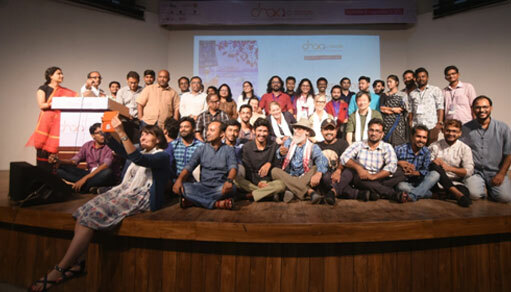 It was the final day of the Dhaka DocLab program. 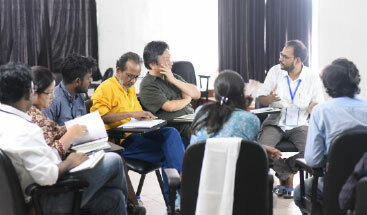 Following the previous day's schedule, the One-On-One meetings were held again for the rest of the participants who pitched their projects on this day. The ending ceremony of Dhaka DocLab2017 started with the speech of the main guest of the event, Abul Maal Abdul Muhith, Finance Minister, Government Republic of Bangladesh. 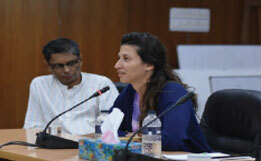 He thanked the Dhaka DocLab team for arranging this program and hoped that this will continue each year. 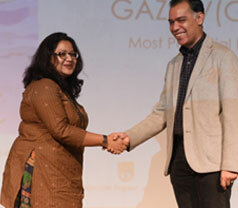 Then the Dhaka DocLab Chairman, Nasiruddin Yousuf Bachchu, honored the guests with gifts and thanked them for making this program a successful event. 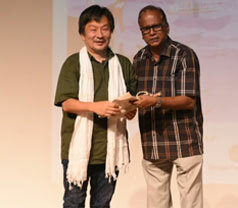 Among the projects some selected participants were awarded to inspire the filmmakers to continue their journey in making documentaries. The participants had a special section where they expressed their gratitude for the tutors and the panel by forming a circle round them on stage and singing. It was a joyous moment for everyone. 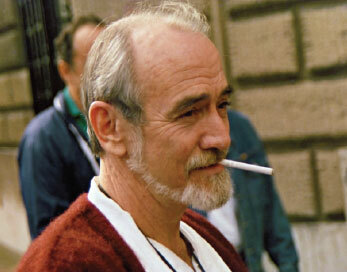 Direct and thoughtful, Luka has a distinctive sense of humor; he loves movies and he writes his own screenplays. Piano virtuoso Denis is able to play demanding classical pieces; he is also incredibly intelligent and well-read. He adores The Little Prince so much that he keeps rereading it. Majda likes to rap and isn't shy about it; her bold lyrics expose the surrounding world with disarming accuracy. Marjamka is able to tell long stories in English, while her tireless brother Ahmed is uncommonly friendly. There are these five remarkable children that society has consistently and unflatteringly labeled "autistic". 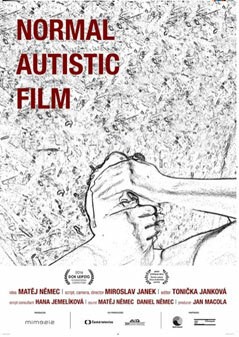 A foremost Czech documentarist with a unique authorial vision challenges us once and for all to stop perceiving autism as a medical diagnosis and try to understand it as a fascinating way of thinking that's often maddeningly difficult to decipher. Because who's to determine what's normal - living in a constant rush while disregarding the absurdity of modern life, or wistfully seeking order, peace and tranquility in the world?